1)	Members are expected to respect all private and public properties. 2)	No member shall collect without appropriate permission on private or public properties. 3)	Members should make a sincere effort to keep themselves informed of laws, regulations, and rules on collecting on private or public properties. 4)	Members shall not use firearms, blasting equipment, or dredging apparatuses without appropriate licenses or permits. 5)	Members shall dispose of litter properly. 6)	Members shall report to proper state offices any seemingly important paleontological or archaeological sites. 7)	Members shall respect and cooperate with field trip leaders or designated authorities in all collecting areas. 8)	Members shall appreciate and protect our heritage of natural resources. 9)	Members shall conduct themselves in a manner that best represents FPS. To fossil collect in Florida on state owned or controlled lands, including creeks or rivers, one must obtain a permit from the state. 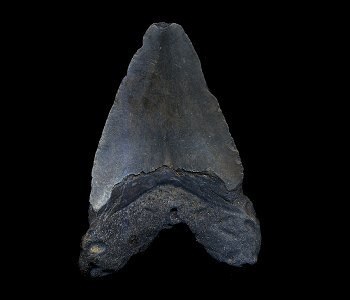 Presently, you do not need a Florida Fossil Permit to collect fossil shark teeth, invertebrate animals, or fossils of plants in Florida as they are specifically excluded from the Florida Fossil Permit Regulations. Fossil Collecting is not allowed in waters that border a state or federal park or preserve. One may not fossil collect in a state or federal park or preserve. Other restrictions may apply to a site, so it is always important to find out if other restrictions do in fact apply before fossil collecting in state owned or controlled creeks or rivers. In most cases, you are allowed to dig for fossils in a creek or river bed owned or controlled by the state, but you can only do so with a hand shovel and you may not dig into the banks or the bedrock. In regards to private property, in most cases you are allowed to dig for fossils with a hand shovel in a creek or river bed bordered by private property, so long as you have the permission of the landowner. Presently, you do not need a Florida Fossil Permit to collect fossil shark teeth, invertebrate animals, or fossils of plants in Florida as they are specifically excluded from the Florida Fossil Permit Regulations. However, it is always best to have a Florida Fossil Permit since you may run across other fossils while collecting those specifically excluded from Florida Fossil Permit Regulations. Please see Florida Statute 1004.57 for complete regulations. Remember to always check the regulations to see if there have been any changes.